Vegetable oils are an essential ingredient for human diet. No food worth taste could be prepared without use of vegetable oils. 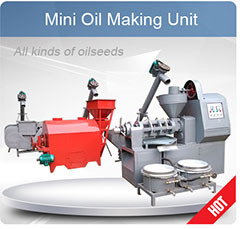 Depending on Geographical locations different varieties of oils are popular in different region. Nature has given distinct individual characteristics to all vegetable oils. 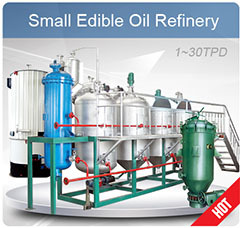 Vegetable oil refining is a process where free fatty acids are volatized, condensed and recovered simultaneously with vacuum de-colouring operation. Basically vegetable oil has following impurities which needs to be removed,such as physical impurities, gums and waxes, free fatty acid, coloring pigments,odour etc. 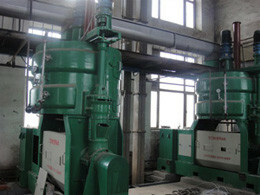 Left over particles of oil seeds impurities can be removed by simple filteration process. 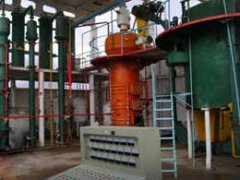 During pretreatment process gums and other impurities are either separated out, either through batch degumming or through continuous process with help of centrifugal separators. 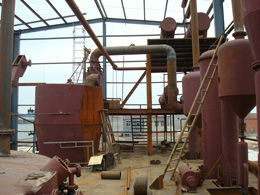 The free Fatty Acids are generally removed by neutralising them with alkalies like caustic soda. When Fatty Acid separates out from the bond with Glycerin they are termed as Free Fatty Acids. oils have colour ranging from light yellow, reddish} to dark brownish (as in crude cotton seed oil). Bleaching agents absorbs the colouring pigments. By filteration process the spent bleaching agent is filtered out. 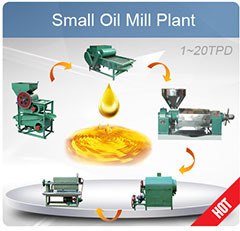 Oil deodorisation is the process to remove odiferous matter from vegetable oils. 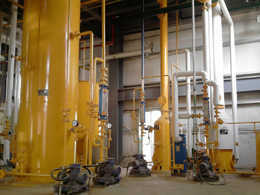 The equipment involved are Neutralizer, Bleacher, Deodorizer, Heat Exchanger, High & low vacuum equipment & Filters. 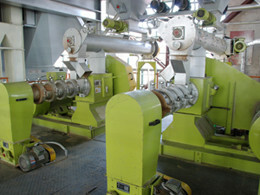 KMEC plant with batch process have been operating at number of places, processing varity of vegetable oils.